This year you can share goodwill and help a child in need by purchasing Tanager Place “Cards with a Cause”. These cards were designed using portions of artwork created by children in the Expressive Arts Therapy program at Tanager Place. Your purchase will help support the Expressive Arts Program at Tanager Place. Expressive Arts is a vital part of treatment, which helps to provide insight into struggles when feelings and conflict are too difficult to talk about. This program is entirely dependent on donations and generous people like you. Please complete and return this order form by October 26. Thank you for your support of Tanager Place Expressive Arts Program! 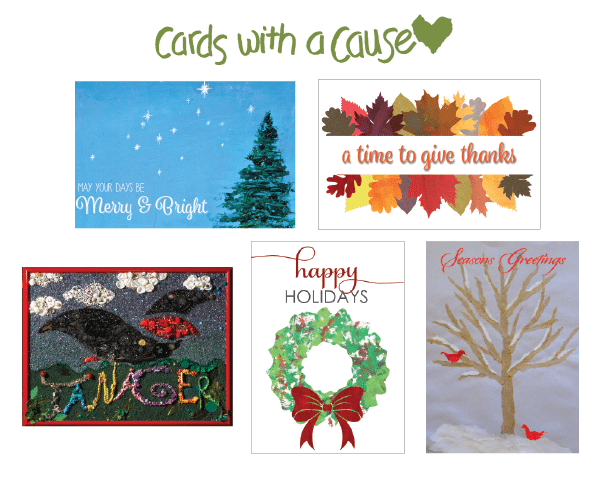 Click here to order your Cards with a Cause!